A granular soil amendment that includes humic acid, fulvic acid, and freshwater carbon. For over twenty-five years, Menefee Humate® has proven time and again to be the world's premiere, soil applied humic acid product. It's easy to use, provides countless long-term benefits, and pairs well with any Grower Program to boost crop yield and improve plant health. What does Menefee Humate® do? What sets Menefee Humate apart? 2. Cleanliness. 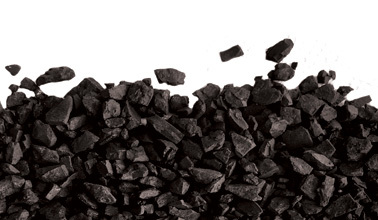 Unlike dusty humics, Menefee Humate® goes through a multiple-screened process. The finished product is uniform in particle size, which is easy to blend and apply. Want to try it out? Get in touch for a free sample. How is Menefee Humate applied? Menefee Humate is soil applied at a rate of 100-200 lbs/acre. Feel free to get in touch, and we'd be happy to provide you more information about Menefee Humate®. Or click below to view PDF's of the Organic Certs and Product MSDS.